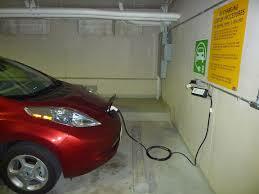 New building code requires garage to have electric car hookups. March 10, 2016—Denver, Colorado’s new building code requires single-family homes and duplexes to be wired with electrical support (conduits leading to the electrical panel) for electric plug-in cars. In the long run, this will make the purchase of an electric car more economical. According to the Denver Post, it will prevent owners from having to dig or break through walls to install the necessary wiring. Mike Salisbury of Southwest Energy Efficiency Project says, “What this tries to do is make sure it’s easy and inexpensive for a new homeowner (to install) a new charging station.” This wiring will only add an extra $200-$300 to the cost of a new garage, which is minimal compared to the cost of rewiring an already standing garage for a plug-in electric car. 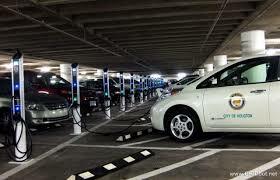 New codes for Denver requires electric charging facilities. The new building requirements will take effect in September 2016. Categories: Building Green, Electric and hybrid vehicles, Energy programs by state | Tags: Renewable energy | Permalink.